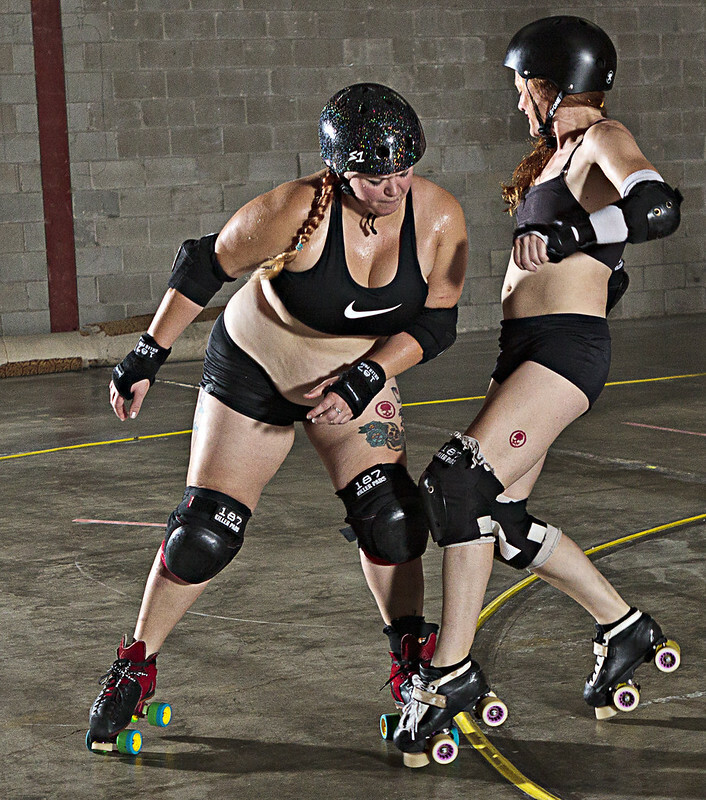 This series of photographs are dedicated to showing real derby skater bodies without pretense and without apology. 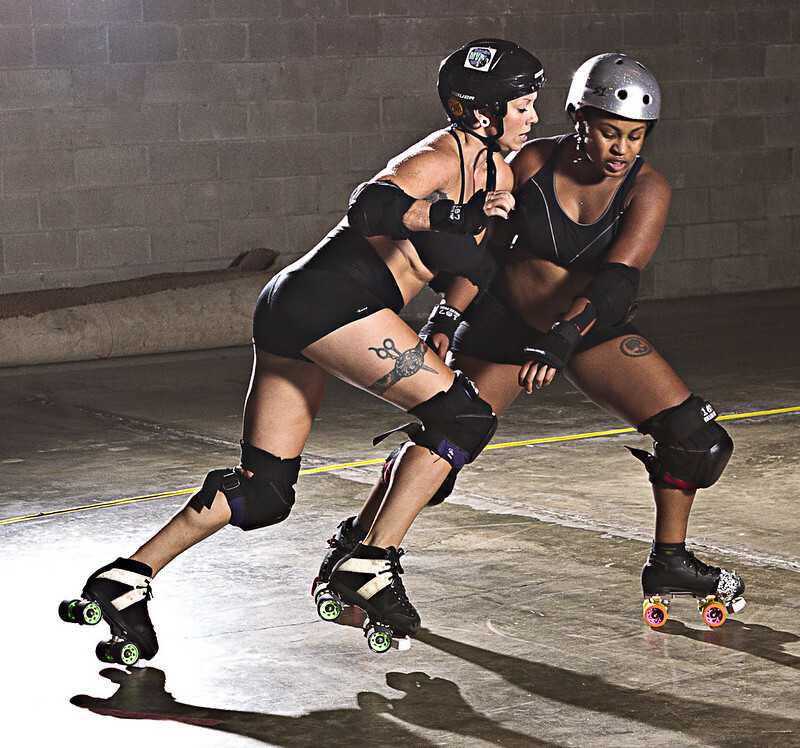 Our focus is on practice time, where the real work happens. The drills are real. The sweat is real. The hits are real. 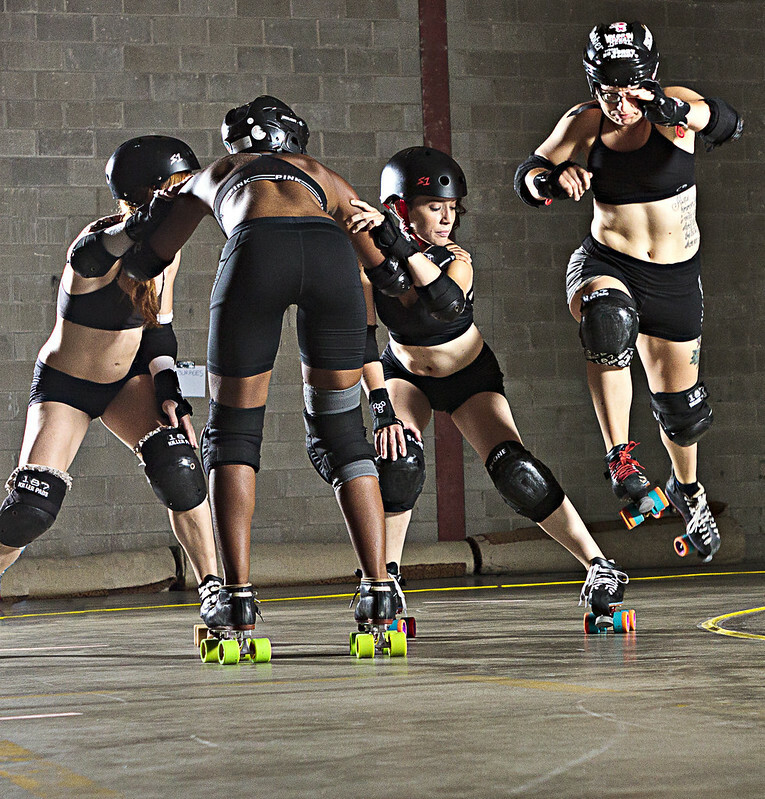 This set features skaters from Naptown Roller Girls. Additional photos can be found on Cory’s Flickr album. 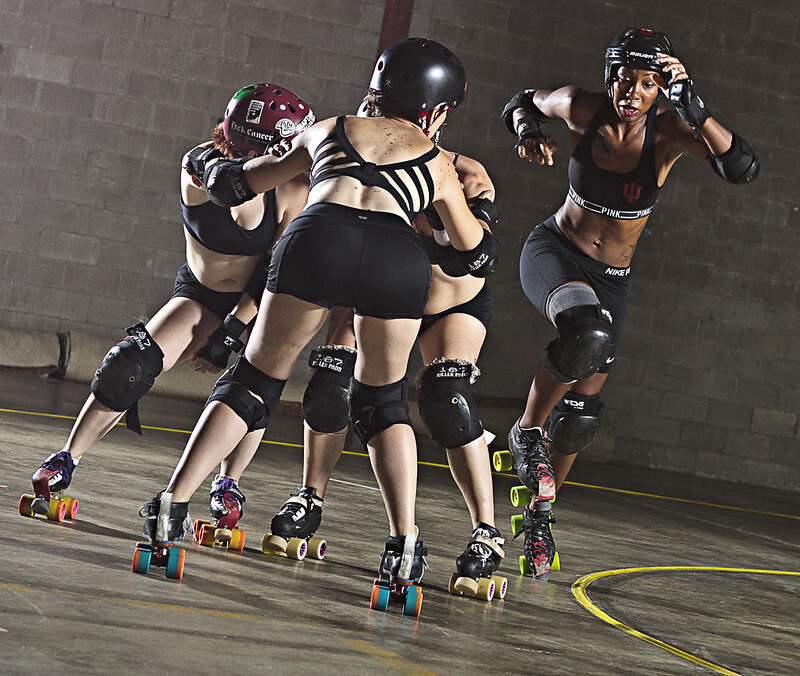 Get future updates on Facebook by following The Rollergirl Project. Well, I have a fear of jumping. I do not like it when my feet have to leave the ground. When I saw the apex jump picture, I thought, "Holy smokes! I'm doing it!" As for my teammates, I already thought they were amazing. When we were looking at the pictures together I just said, "Look at you! Look how strong you are!". I liked that they were able to see what I see when we play. 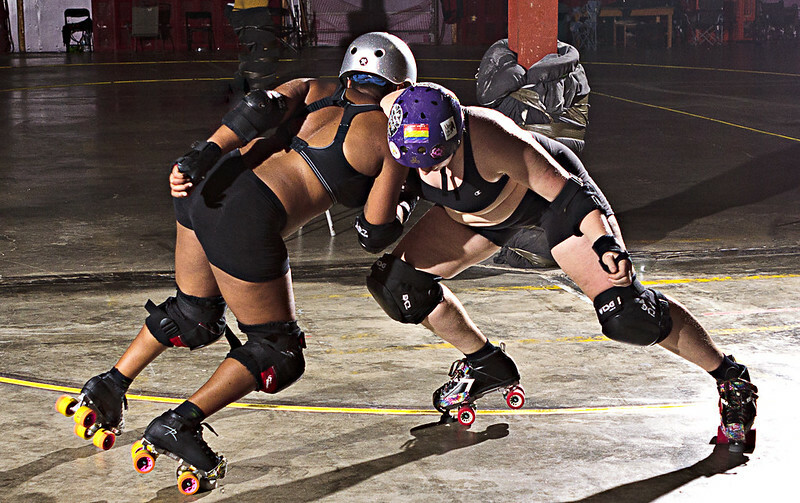 One of the coolest things about roller derby is that there are athletes of every body type playing every position at the highest level of the sport. No one's success is limited by height, weight, or shape. 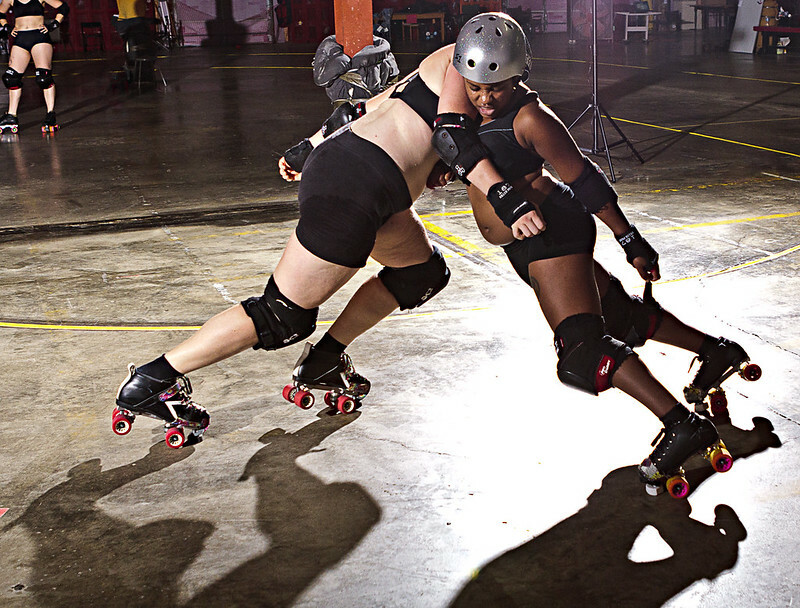 I hate it when people who don't know the sport tell me I look too small or too nice to play roller derby. 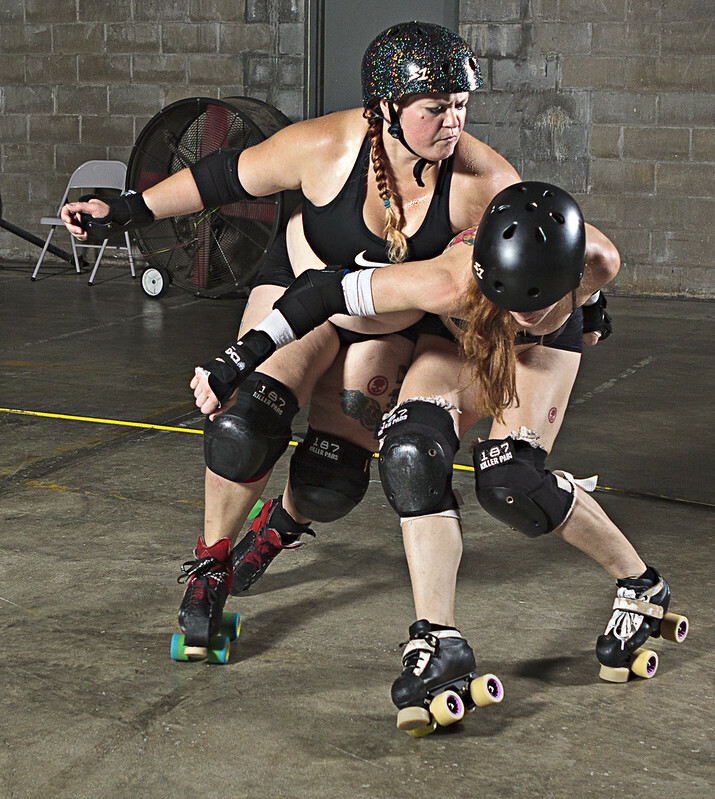 We scrimmaged a top 15 men's team at the beginning of the year and I got lead jammer almost every time. I might be small and I might be a woman, but I'm not weak. 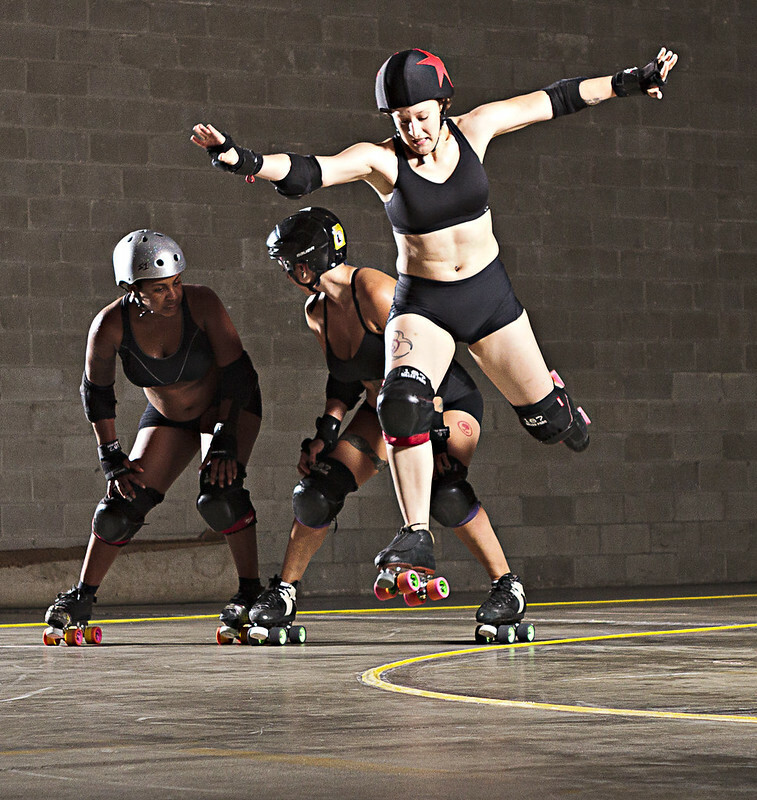 This sport has challenged me to my very core, both physically and mentally. My whole life has been a fight. No one has handed me anything - I've had to work for it all, especially derby. I'm not a gifted athlete. I'm just a lady who wanted to do more than be on the radio. At this point in my life, I'm pretty comfortable with my body. It hasn't always been that way but I've come to understand that; no matter what I do, there are certain ways it will never look. As long as I'm leading a healthy lifestyle, I'm pretty happy with it. 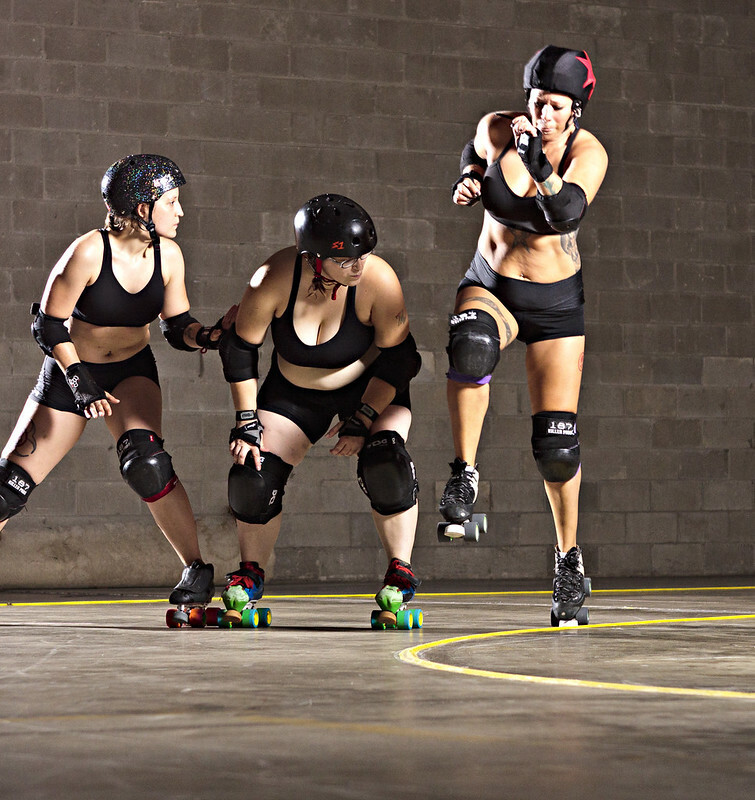 Seeing the original Body by Derby a number of years ago actually made a significant impact in this mentality shift. My hope, in being part of it, is to potentially inspire someone in the way that I was. To love your body for what it does more than how it looks. 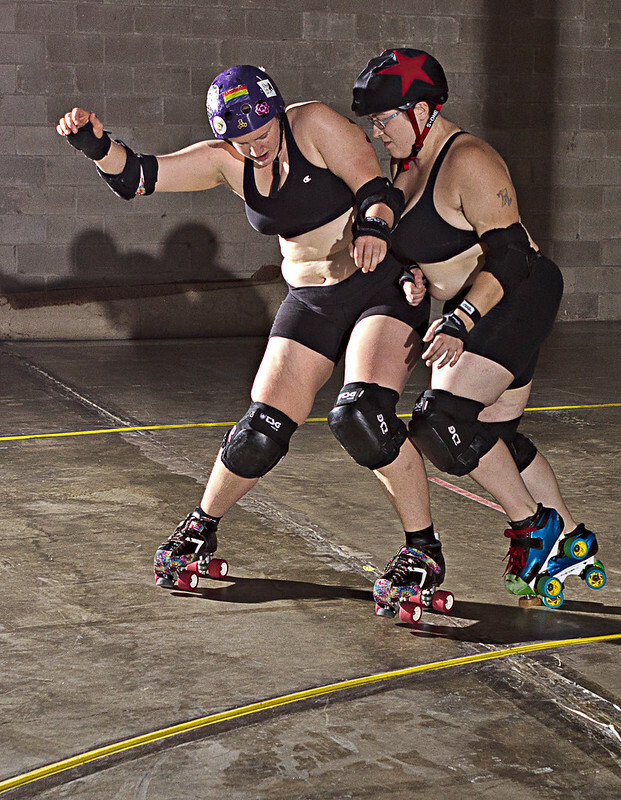 I think derby is unique in that so many people are able to do it, no matter what our bodies look like. 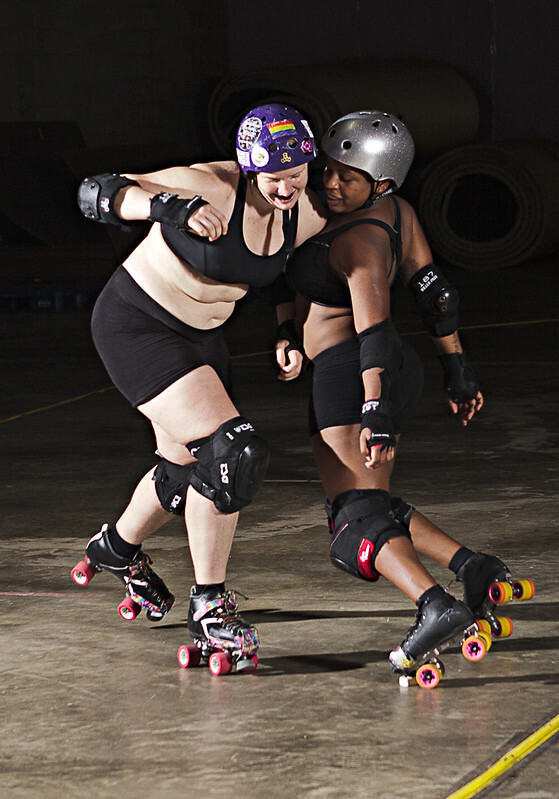 There is beauty in all our curves and bumps and dimples we have. We need to always appreciate and celebrate our bodies for what we are capable of doing with them. To my teammates, your acts of beauty, grace and strength inspire me every day. I would not be half the player I am without you.